Does banging around the buoys get your blood flowing? Or is a leisurely daysail more your pace? Whatever kind of sailing you do, change it up. Offer to race on a Wednesday night beer can race or a casual weekend race at the local yacht club (you don’t have to be a member to sail with someone). If you already race, give a weekend cruise a shot. Charter companies offer boats in many popular cruising areas that may be close to home. This will give you a shot at practicing your navigation and anchoring skills. Head out for a daysail and play around with the sail configuration. Enjoy sailing without an agenda. Keep your ears open for opportunities to help with long-distance deliveries. Skippers are often looking for able-bodied, responsible sailors to crew for deliveries and it’s a great way to gain experience sailing at night and standing watch. Or maybe even get out of the keelboat and into a dinghy, where you alone are responsible for every move the boat makes. 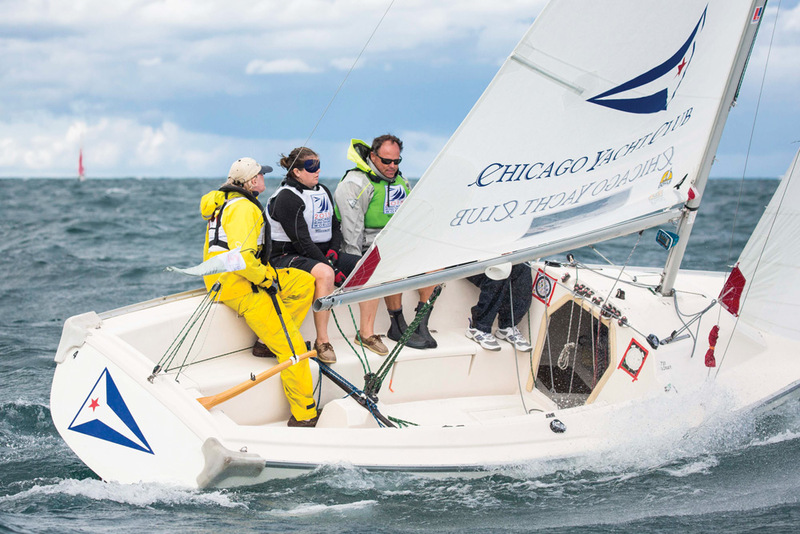 Look for different sailing opportunities on ASA’s Go Sailing app, which connects skippers and potential crew. Every kind of sailing—and clearly there are many—offers different experiences and uses different skills. You’ll give your sailing muscles a workout by broadening your horizons and you might just discover a new kind of sailing that you love. Sailing opportunities often come through friends, so it makes sense to get more sailing friends and a great way to do that is to join a sailing club, yacht club or community sailing program and be social. Let’s be honest: For sailors, the next best thing to sailing is talking about sailing. And if some of what is discussed may amount to little more than exaggerated seas stories, it’s still a good way to get fired up for your own sailing adventures. But it’s also a good way to learn what kinds of sailing others in your club are doing. It’s also a great way to help out around boats, which offers invaluable learning experiences on boat maintenance. Helping out an owner or the club bosun is likely to gain you favor that may pay off in greater sailing opportunities. So find your tribe and enjoy it.